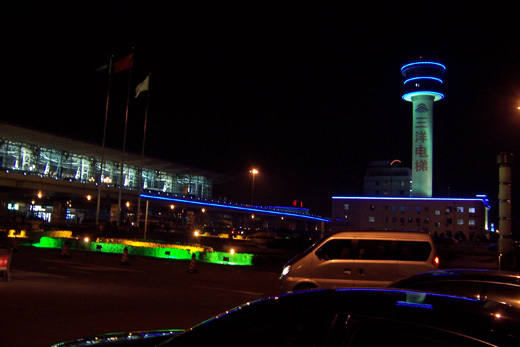 Shenyang Taoxian International Airport (IATA: SHE, ICAO: ZYTX) (simplified Chinese: 沈阳桃仙国际机场; traditional Chinese: 沈陽桃仙國際機場; pinyin: Shěnyáng Táoxiān Guójì Jīchǎng) is an airport in Shenyang, China. Like the city itself, colorful neon greets airport visitors at night. 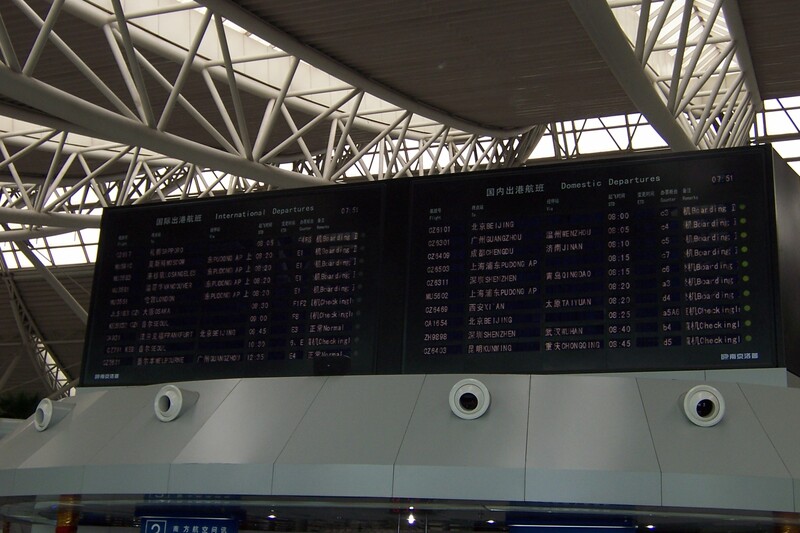 Departure boards and architectural effects inside terminal.